For years we product managers have been stuck managing our most important decisions in spreadsheets and project management tools. 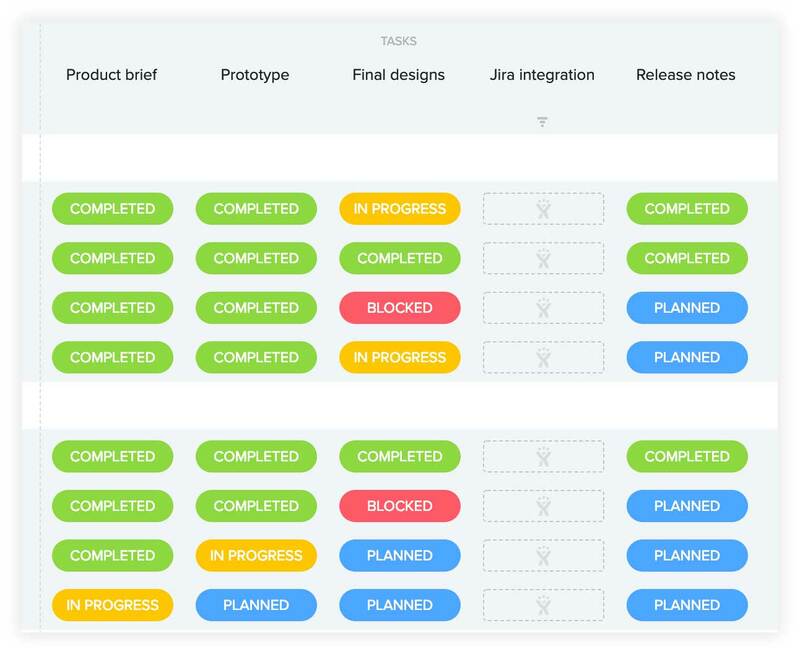 We've lacked a way to visualize important prioritization criteria or get a holistic view of all our feature ideas. 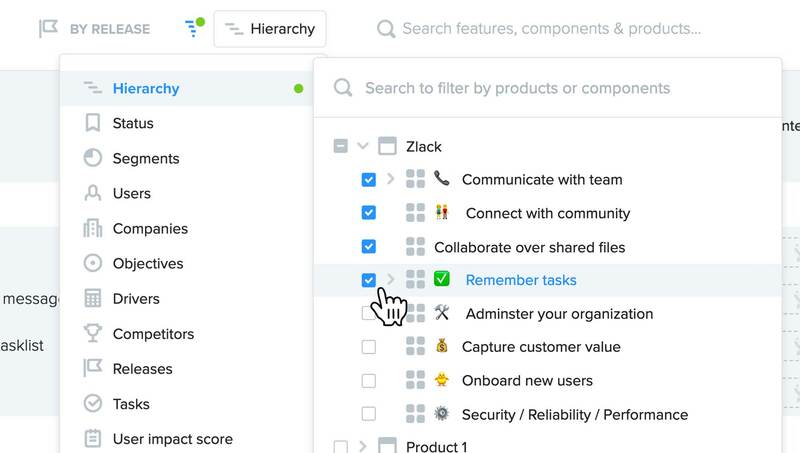 Tame your unwieldy backlog of hundreds (or thousands) of feature ideas by adding them to your flexible product hierarchy. 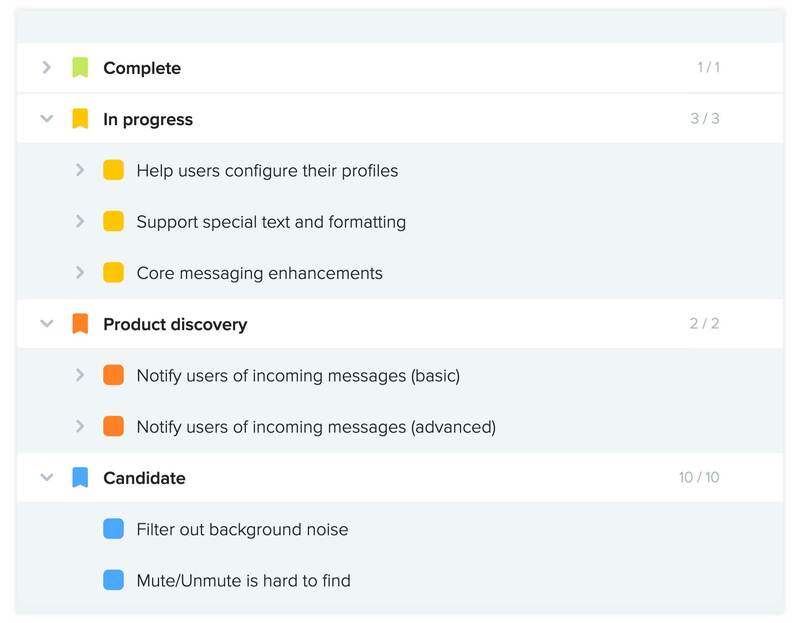 We've found it best to organize features by the user needs they address. Doing so keeps everyone focused on the problems our solutions should address. But what matters most is that the hierarchy is organized in a logical way that's easy for your team to navigate and find the right feature ideas – whether that's by user need, product area, or technical component. Whatever structure you decide, it should be around components that remain relatively stable over time, rather than short-term projects or initiatives that come and go. At the least, your hierarchy's structure should map closely to the areas of responsibility for each product manager on your team. So start by considering how you divide responsibilities across product managers or product teams and use that as the foundation for your hierarchy. It's best to start with a simple, shallow structure and add more layers later as necessary. Don't get hung up on the name "feature". In reality, features can represent user needs or broad capabilities you're looking to unlock. They don't need to be specific solution ideas, and they often shouldn't be... unless you've done the necessary product discovery to arrive at the best possible solution idea. Features will evolve as they progress through your prioritization process and you get a better sense for the solution they entail. It's ok to update their name and description as you go. As for naming your features, we recommend keeping it short. This makes your boards easier to skim, and often makes features easier to find – not harder. So if you're using features to represent jobs-to-be-done or user scenarios, we recommend using shorthand for these concepts in the name and describing in more detail in the description field. The feature description field could also be a great place to add any other information on business objectives, key results, KPIs, and details on phasing/milestones, user scenarios, or acceptance criteria. For now, it might help to think of features as big ideas (epics) and subfeatures as small ideas (user stories). But between you and me, that's not strictly the case. Down the road you may wish to prioritize a small-yet-critical enhancement directly against a big idea. And for this, it would make sense for them both to be features. That's why if you're pushing features from productboard into a development planning tool like Jira, you can decide whether a feature should be pushed as an epic, a story, or another smaller issue type. That's all you need to know for now! Your best bet is to start with features for now and begin adding subfeatures as needed down the road. What do users need most? What will help sustain and grow our business? And maybe somewhere in the middle of those two... what best supports our product strategy? You can start answering these questions by adding data fields to your board as columns that represent helpful prioritization criteria. These columns can be shown, hidden, or customized using the configuration bar at right. The user impact score is a great column to start with because it helps you surface the features that best address user needs. It does this by calculating a score for each feature based on how many users have "insights" linked to it, weighted by how important the feature is to them. By arranging features as a list and sorting by User impact score, you'll quickly see the top-requested features rise to the top. Apply filters to recalculate your score based only on recent feedback, or only those requests deemed critical (liable to end in churn or lost deals if not acted upon). You can even see which features have been requested by certain customers or companies. Objectives are another important data field that can be displayed as columns on your boards. They represent goals aligned with specific outcomes you're striving to achieve – for your customers, product, or business. You can use them to score features – based on how well they support each objective – and then sort, filter, and group those features to aid in prioritization. There are many other column types for prioritization, not least of which is drivers which act as miscellaneous criteria that you can aggregate into custom-weighted prioritization scores. Experiment with these columns and see what works best for supporting your team's process. At a certain phase in the process, you'll want to ground your prioritization in reality by factoring in effort estimates. Which high-value features are feasible to build? For this you can use objective columns, which allow you to calculate a score by dividing each feature's objective value by effort. You can also use the matrix grouping on the Features board, which allows you to visualize the precise value/effort tradeoff for features in your top objectives. Based on these analyses you can then set a final priority for each feature within each objective: must have, should have, or nice to have. So you've surfaced some ideas that address user needs and support your current objectives. You've considered which are most feasible and set their priority accordingly. What next? If your team relies on planning releases in advance to determine when you intend to make certain functionality available, you can add release columns to your board. Then group your features By release to fine-tune your release plans. If your team is more flexible and fluid in your planning – Kanban or continuous delivery – you might prefer to rely more on status which can be used to track features as they progress from being a new idea, through discovery, to delivery, and ready for launch. The precise status values you choose can be customized. These too can be displayed as a grouping on your board. 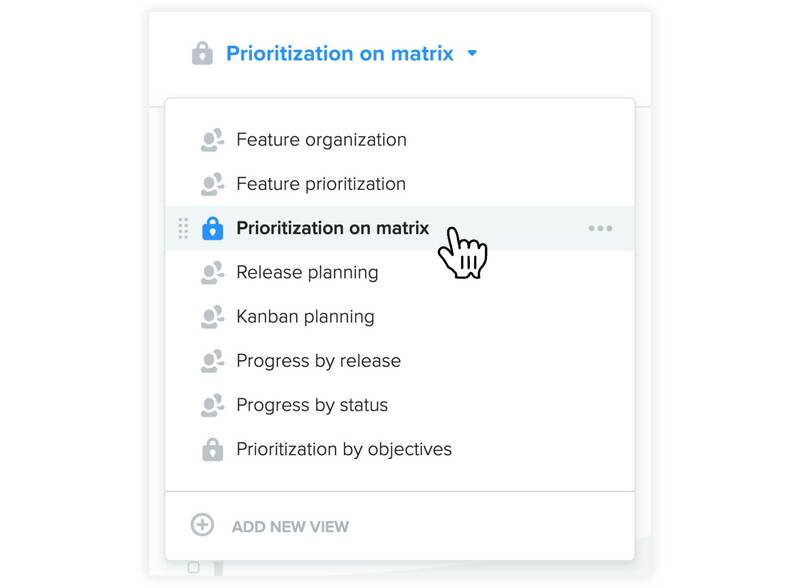 Whether you favor using releases, status (or both), for planning, you can use each of these as a primary grouping option on your Roadmap as well. As you move from prioritization and planning to delivery, you'll begin spending more time considering the tasks required for each feature as you prepare to develop and then launch it. 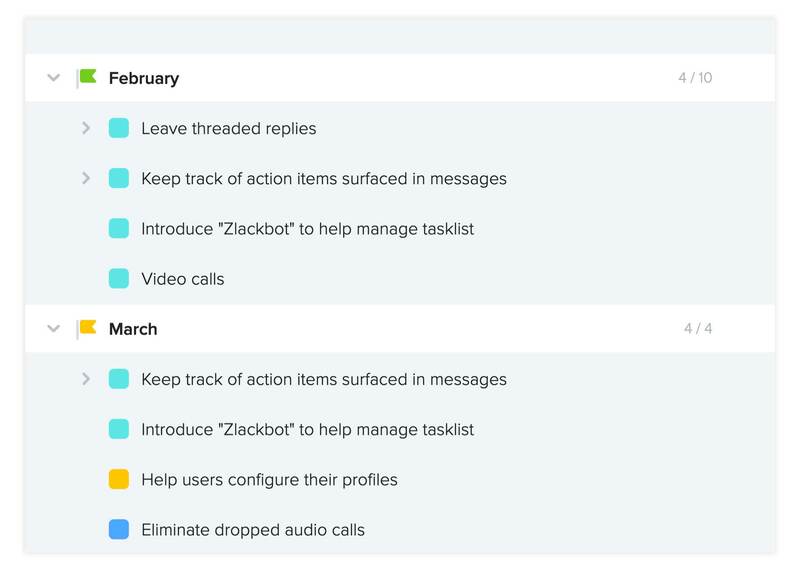 Common tasks spanning many of your features can be added as task columns on your board. 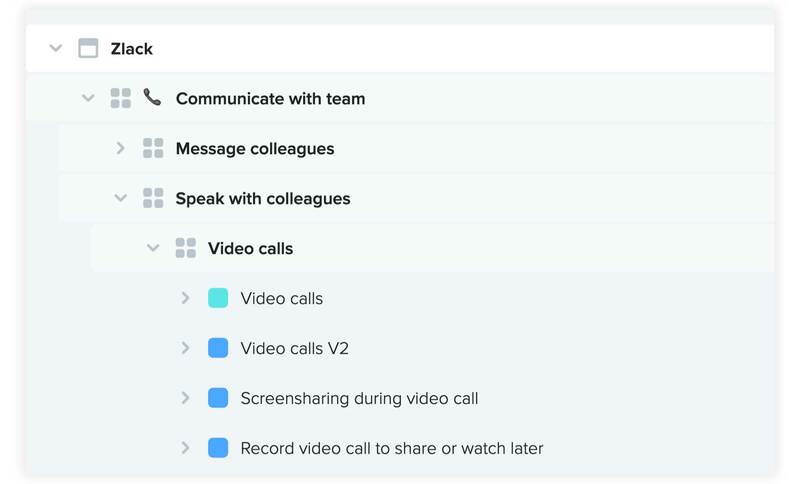 If you invite members from the broader product team into productboard (including design, engineering, documentation, and marketing), they'll be able to use task columns to keep track of deliverables they're responsible for. One type of task requires special mention: that of developing the feature! This is often tracked in project management tools like Trello, JIRA, Pivotal Tracker, or GitHub Issues. productboard offers a special task column that appears when you integrate with any of these solutions. It allows you to push features straight to engineering and track their status right from within productboard. If you work alongside other product teams and all of you share the same productboard project, you'll want to filter your Features board to show just those features that matter to you. You can do that using the Hierarchy filter. Likewise, certain columns, filters, and board configurations may be especially helpful to return to regularly, or to share with others. You can save these as saved views. While you have different sets of saved views for your Features board and Roadmap, they work in the same way. Add a new product to your Features board and set up a simple hierarchy outlining the major areas (or user needs) of your product. Add some feature ideas to each area. Review all the column types in the configurations bar at right. Which will be most useful for your team? Don't worry if there are some you don't think you'll use just yet. You may well find a need for them down the road. When ready, delete the sample product (including all underlying features). Select it and in the side pane that appears, find the delete option in the upper right menu. Or, if you'd like to hold on to the sample data for now but hide it from view, filter it off your board with the filter menu (Hierarchy filter). That's it for the Features board! You're all up to speed on how productboard can help you confidently decide what to build next (and ensure your precious feature ideas actually see the light of day). 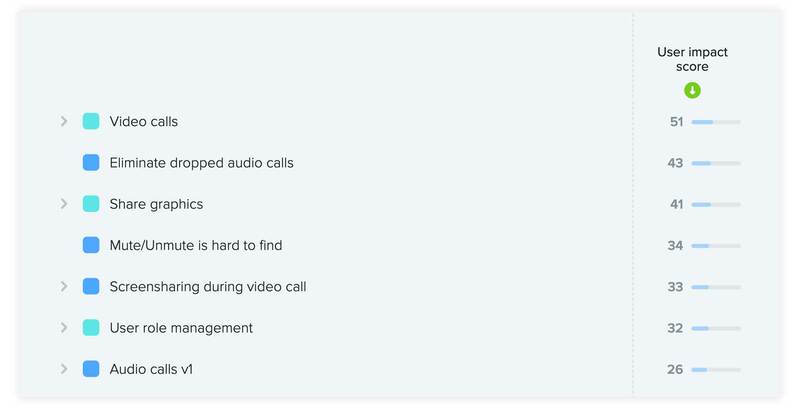 Next up, we'll take a closer look at the Insights board, where you can consolidate ideas, requests, and feedback to understand what users really need.